The immigration process of Canada is based on point system. Federal Express Entry system as well as most Provincial Nominee Programs (PNPs) of Canada follows a point system for accepting applications from the skilled and talented professionals from overseas countries. In this point system, Language proficiency of an applicant plays an important role. The Immigration Refugees and Citizenship Canada (IRCC) allocate the valuable points to the applicants based on their language proficiency level in English or French, as these are the two official languages of Canada. Federal Express Entry system is the most popular pathway of getting permanent residency in Canada. It requires minimum CLB 7 level of proficiency, from the applicants, i.e. IELTS band 6 score in all four abilities. However, not all the applicants able to obtain this score to be able to apply through the express entry. So, what is the alternate to those applicants, who have relatively low CLB or IELTS score. If you are an aspirant of Canadian permanent residency visa, but disappointed with your IELTS score or CLB level, you can apply through alternate immigration program to be in hunt for PR. The Saskatchewan Immigrant Nominee Program (SINP) of Canadian province Saskatchewan provides you with an opportunity to apply and obtain PR in Canada with CRS score as low as CLB 4. The Occupation in Demand (OID) subcategory of SINP demands only CLB 4 level, i.e. 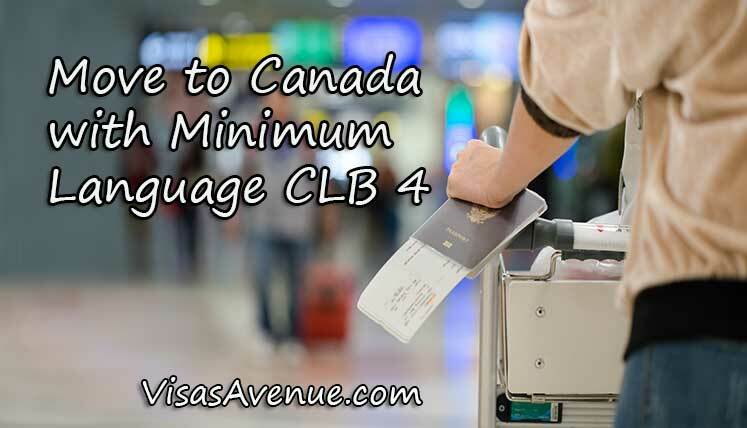 basic level of proficiency from the applicants, while federal express entry asks for minimum CLB 7 level. The CLB 4 level of language proficiency would mean the below IELTS band score, i.e. Reading (3.5), Writing (4), Listening (4.5), Speaking (4). What is OID subcategory of Saskatchewan PNP? The Occupation in Demand (OID) subcategory of Saskatchewan Immigrant Nominee Program (SINP) has been designed for those applicants, who have the skills and experience, matching on of the occupations listed in SINP in Demand Occupation list of Saskatchewan province. The applicants who possess experience in Saskatchewan occupation list and also meet the basic criteria of the stream becomes eligible to apply. The SINP has recently started new EOI (Expression of Interest) based system for its OID and express entry streams. If you wish to apply in SINP through certified Canadian immigration experts, you may contact Visas Avenue Immigration- a leading Visa Consultancy Company in India that every year helps hundreds of applicants obtain Canada PR Visa.